The term final disposition refers to what ultimately happens to one’s physical body upon death, most commonly burial or cremation. Burial can either be in the ground or in a mausoleum. Cremation is using heat, flame and processing to reduce one’s body to cremated remains or ashes. Sometimes the two are merged, when the choice is made to bury the cremated remains. While the decision has to be made on which type of disposition is to be used. It is important to know that this decision does not limit you to what type of service or memorial celebration you may choose. Many people think that because they opt for cremation, they cannot have a traditional funeral with viewing, or that because they are choosing burial their options are confined to a formal type of service. These are misconceptions! We can help you create the type of service or memorial that is appropriate for you regardless of your choice of burial or cremation (or both if you choose to bury the remains). Visitations and gatherings, times for family and friends to share and reflect. As you continue to read about the services we offer, don’t confine your thinking to what you believe you are supposed to do, but concentrate on what will give comfort and meaning to those celebrating a life worthy of being celebrated. We will share more about how we can help you achieve this by contacting us and setting a time to discuss it with you either at our funeral home or in the privacy of your home. We provide caring, dignified, professional service to families of all faiths. Our phones are answered 24 hours a day, 365 days a year, so that we may provide the best possible service. We assist with Veterans, Social Security Benefits and Insurance Processing. We offer a Video Tribute Program. Your photographs are placed in a video creation that takes on a whole new meaning when accompanied by beautiful background music and video scenery. This unique blending helps to keep your memories alive. We provide attractive brass easels with photo collage capabilities and candle memorial with your loved one's photo during services to better celebrate the life of your loved one. We remain at the gravesite until the casket and vault have been properly secured. We also provide an attractive temporary metal marker at the gravesite. We deliver the flower arrangements to the location of the family’s choice. We deliver family items, such as: register book, memorial cards, photos, jewelry, etc to the location of the family’s choice. This eliminates the family having to return to the funeral home. 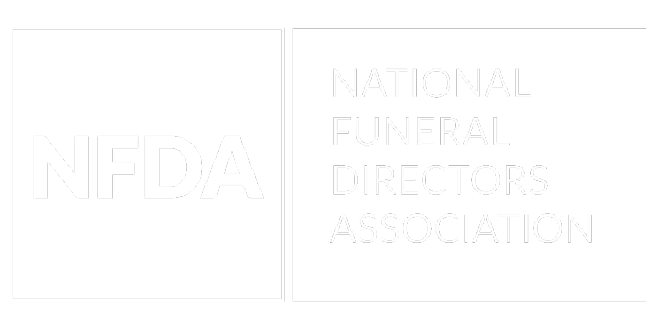 The most complete and flexible advanced Funeral Planning programs available. An extensive library of grief related books and videos available for loaning to families. Free booklets, guides and information packets available. We provide special services, such as: Remembrance Vigil, Veterans Recognition, Cell Phones for Soldiers, Stockings for Soldiers, Old Glory dropoffs and more.